On ​https://wordpress.org/support/users/sergeybiryukov/replies/, it's hard to tell which topic each reply belongs to, as there is no topic title. 2002.diff​ (2.7 KB) - added by netweb 3 years ago. 2002.2.diff​ (2.5 KB) - added by netweb 3 years ago. Let's also add the last user that replied with the date and time of the reply. Note: This patch is for both the wporg forum theme and the bb-base theme. 2002.2.diff​ looks good to me. 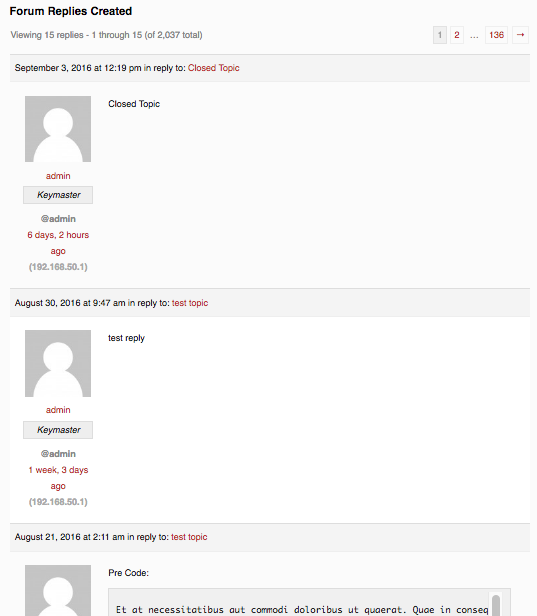 BuddyPress.org: bb-base: Add replies topic title (and link) to a reply header on users profile replies view. 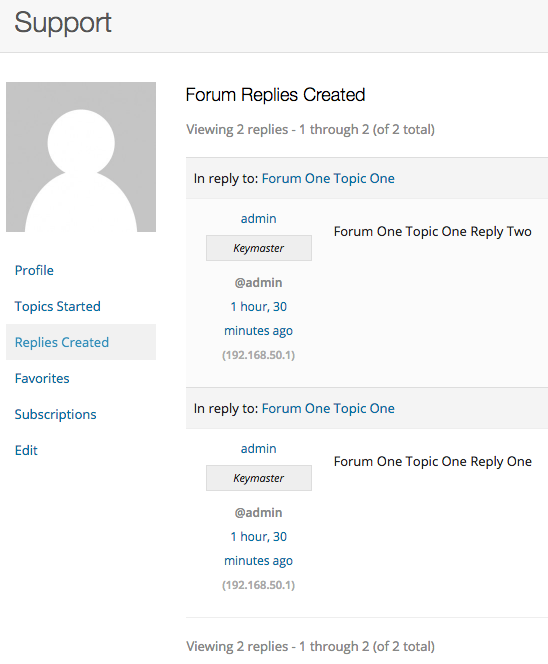 Forums Theme: Add replies topic title (and link) to a reply header on users profile replies view. Support Theme: Add linked forum name to topic and reply lists in user profile.